256 pages | 1 B/W Illus. What kind of Europe do social democratic parties prefer? What is the origin of their preferences? Are they shaped by interests, institutions or ideas? If so, how? Why do social democratic political parties respond differently to the crucial question of the future of the European Union? While many social democratic parties initially opposed European integration either in principle or because of the form it took, gradually they came to lend their full, though often critical, support to it. Despite this evolution, important differences between them have remained. 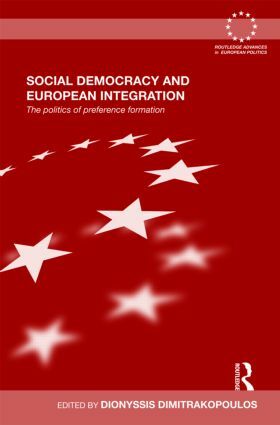 This book examines the preferences of social democratic parties in Germany, France, the UK, Sweden and Greece towards European integration, in comparative perspective. Using a variety of sources, including interviews with key party officials, the contributors explore what kind of Europe these parties want, and seek to explain the formation and evolution of these preferences over time. They examine the interplay of national peculiarities and cross-national factors and their impact on preferences on European integration. In addition to highlighting the role of party leaders, they reveal that, far from being united on European integration, these parties disagree with each other in part because they have retreated – to varying degrees – from key social democratic principles. Making an important contribution to the scholarship on preference formation and the research that links the European Union with the nation state, it will be of interest to students and scholars of the EU, comparative politics and political parties.